The UX2 Sensor is an external calibration sensor for medical monitor use. It measures many monitor characteristics such as brightness and gradations, and corrects any changes. 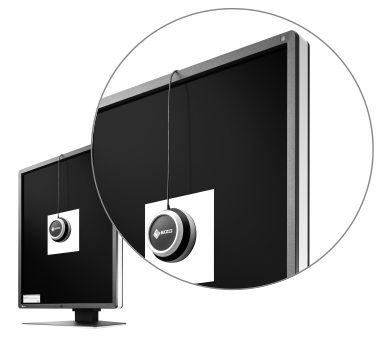 The UX2 Sensor is equipped with an LED indicator to indicate when the sensor is successfully connected to the monitor. Furthermore it has a protective cap that prevents the calibrator from becoming dirty when not in use, ensuring continued quality performance. The UX2 Sensor has a black and white design to match our range of RadiForce medical monitors. Its EIZO original design displays a white ring around the side for a simple and lightweight design. 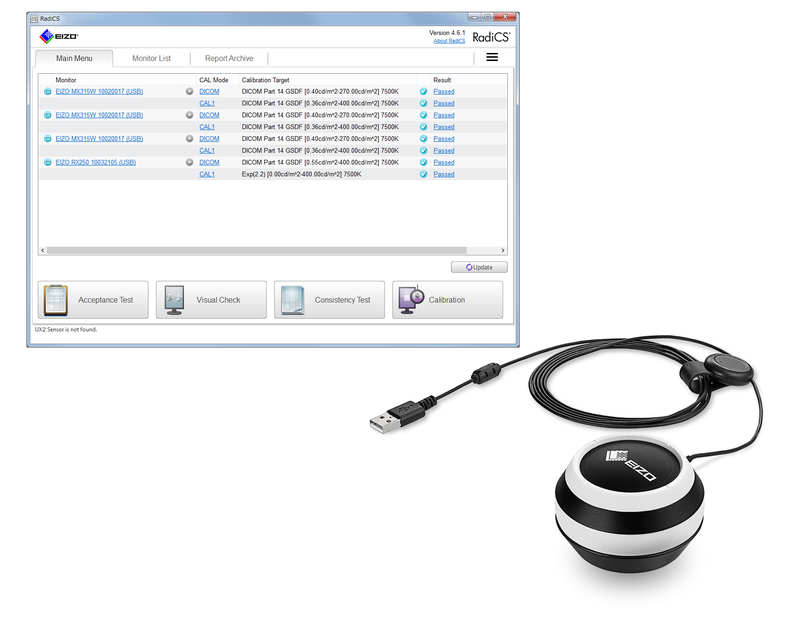 When used in combination with our medical monitor quality control software RadiCS, the UX2 Sensor complies with quality control standards of various countries such as JESRA, AAPM and DIN; ensuring uniform brightness and gradation according to these standards. When used in combination with our medical monitor control quality software RadiCS, the UX2 Sensor is able to calibrate with high precision according to DICOM Part 14 standards, correcting for changes in monitor characteristics caused by aging. 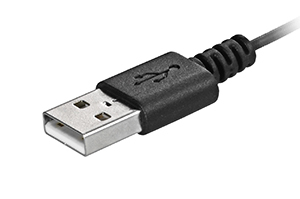 The UX2 Sensor can be easily connected by plugging it into the monitor via USB, and then connecting the monitor to the PC via USB. Typical sensors are easily influenced by environmental changes in humidity, causing a drop in performance. 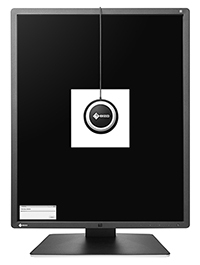 To combat this, the UX2 Sensor was designed using the same technology as our built-in LCD monitor calibrators. Compared to the previous model, the UX2 Sensor is more resistant to humidity and impact, and carries out stable measurements and performance for long-term reliability.